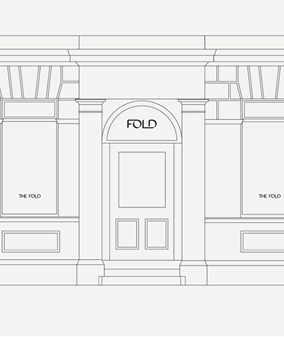 Luxury women’s brand, The Fold, is set to open very soon in Chelsea. Offering a clean and modern aesthetic, the designs come with an impeccable finish and durability and are set to embrace and inspire the professional woman. From luxury merino knits, solutions to the ‘smart-casual’ dilemma and the answer for desk-to-dinner, The Fold’s unique and indulgent designs are becoming every professional woman’s’ wardrobe essential. Their doors open on 26 February where you will be able to shop the full selection and receive 1-to-1 styling sessions from their personal stylists. From the week of 5 March, they will be hosting a number of events to celebrate their opening but also to inspire and advise women. 5 March: Join for a coffee with their founder between 10am and midday, Polly McMaster, at their store bar as she chats about running your own brand, dressing successful women and the opening of their new store. 7 March: From 12-4pm, enjoy an afternoon tea with the head designer and take a sneak peak at the new season. 8 March: Book your ticket for this exclusive launch event between 6-9pm to take part in an evening of networking, drinks, canapés and a discussion of careers, passions and progression. Gaby Roslin will present the evening in celebration of International Women’s Day. Tickets cost £15 and all proceeds go to Smart Works. 9 March: Between 2-6pm, personal stylists will be on hand to answer your style dilemmas and Steph Collins, make-up pro, will be there with all her tips. Take part in sessions helping you on various dilemmas, ‘desk to dinner’ and the art of power dressing.